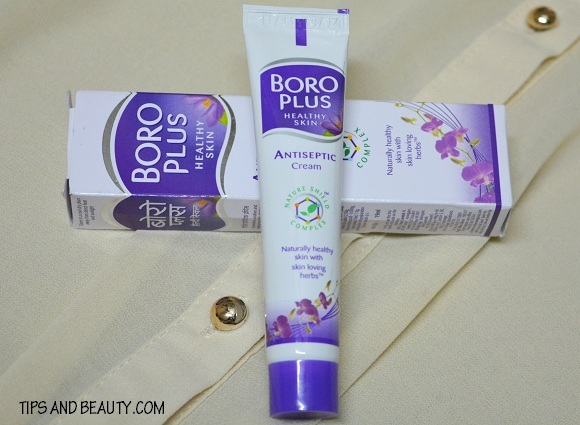 I will review Boroplus Anti septic cream. 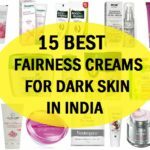 Boroplus is a very popular and old product that has been in India since long when there were not many skin care products. I have seen my aunts and uncles using this for face and hands or when there were minor cuts or burns. This Boroplus antiseptic cream claims to be India’s best selling anti septic cream which I can agree since it is a really old brand. 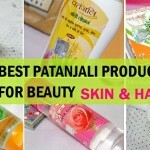 This cream has been developed by Ayurvedic method and skin loving herbs. Price of Boroplus antiseptic cream: This cream is for 27 rupees for 19 ml. Brand claims: This cream heals protects and moisturizes the skin. This cream can be used for shaving cuts, moisturizing the dry skin, minor cute and wounds, cracked heels, chapped lips and nappy rashes. This cream comes in a tiny tube with an outer carton. The tube is purple and white in color with a purple cap. The tube is sleek and very easy to carry in bag. I got this cream for its multipurpose benefits. The cream has a very strong fragrance which is exactly the same it used to be earlier. The cream has a thick, grease and smooth texture. When I apply it on the hands as a hand cream it gets very easily absorbed in the skin and the greasiness is not much. I like it as a hand cream. This Boroplus antiseptic cream can also be used on the lips. I have used this on my dry flaky lips at night for the past few days and it has worked well to moisturize my dry lips. It healed the dryness the next morning and my lips feel smoother. This cream is for cute too so, I have used this cream on the minor wounds and cuts too so, it is a good anti septic cream to be used on the cuts. 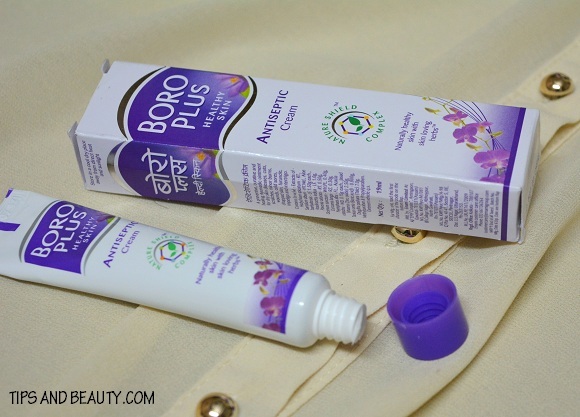 My skin is oily therefore, I did not use it on my face but those of you who have dry skin in winters will find this Boroplus antiseptic cream to be very moisturizing and skin hydrating. 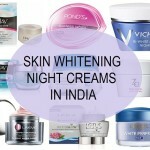 This cream will nourish the skin and will keep the dryness away. 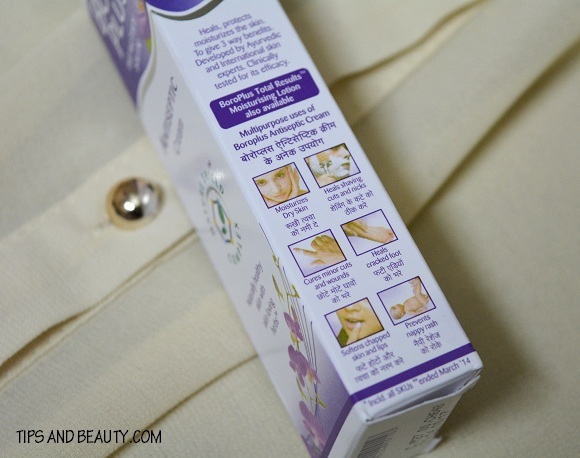 This cream can also be used as a cuticle cream to take the dryness off the dry cuticles around the nails. Using it at night is the best time. Boroplus Anti septic Cream can also be used on the dry cracked heels. I don’t have very dry heels buy dry feet . This cream is greasy and quite moisturizing for treating dryness of the feet. 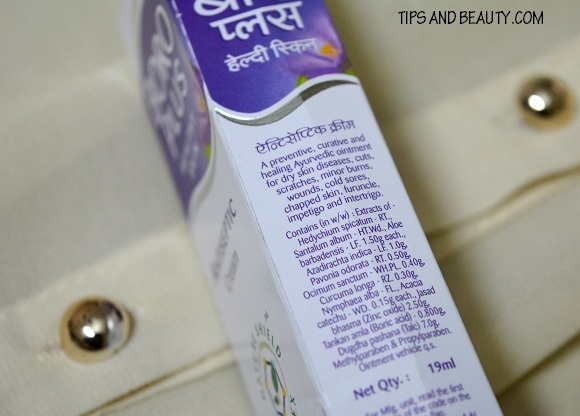 Side Effects: After using this cream for a long time, there have not been the burning, itching or those minor side effects that we have after using the skin care or hair care products. That were not there. I feel that the cream is wonderful to be kept at your home to have something to apply on your minor cuts, burns and insect bites. I like that this thick cream can also be used for the diaper rash that babies have after wearing nappies for long time. Boroplus Cream is an inexpensive multipurpose cream which serves lots of different purpose like shaving cut healing, dry lips, cracked heels, cuts, wounds and as cuticle cream. 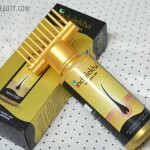 This can be used for the kids’ delicate skin as well in the winters but not on the infants.